Spaceweb is one of the largest hosting providers in Russia with a large number of subscribers Our first impression of the site is that it is logical, image centric, and well designed. The rates are also very good. We are also pleased with the availability of services like SEO-hosting, CMS hosting and Mail-hosting, useful for webmasters who are interested in targeted hosting options. Spaceweb offers a 14 day free trial period to fully test out their hosting. To do this, you just need to choose a plan and register. But there is one very big disadvantage - during the test period, your site will only be available at a technical address like ru.hostings.info.swteh.ru. Registration with Spaceweb is very easy: you choose the type of hosting and plan, enter your e-mail, and in a short time you will receive a response with all your account information. Various payment methods: Webmoney, Yandex-money, RBK-Money, Money Mail, credit cards, bank transfer. Spaceweb offers its own control panel, which has a lot in common with cPanel. 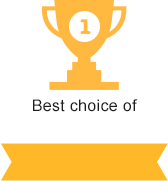 Our experts liked it just fine - nothing extra, everything is simple, convenient and understandable. Of course there are lots of ways to contact technical support, and they even have LiveChat and a toll-free number for calls from all over Russia, but it's hard to wait so long for the operator's response. The answers weren't quick by e-mail either. The service itself was competent enough, we received full and easily understood answers for all our questions. In summary, Spaceweb is a good hosting provider, with a wide range of services, a simple and intuitive interface, and quality technical support. Also note that our experts noticed cases when the provider's website didn't work, and it's worth mentioning some failures in site function during our testing. What is written about in reviews of Sweb.ru most often? I have very unpleasant emotions from working with this company - websites are constantly going offline, tech support says that it's our fault, and at every opportunity the client service acts like that they could care less about our business. I've used Spaceweb for 2 years, now I'm leaving, I'm already practically moved out. Didn't have any specific failures for two years. But the first time I appealed to technical support, I realized that it is very bad. Total reluctance to understand and fix your problems. Also the minuses - the rules of the price plan, you can't add sites or services, you can only transfer to a different plan. 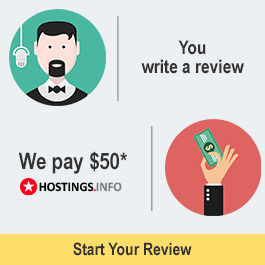 This hosting was recommended to me several years ago as a good hosting company for beginners. And it was true, for the first few years there were no problems. But with the beginning of the move and the change of one platform to another, glitches became more frequent. There are new pages on the site, which I don't even see in the admin panel, and they are requiring me to remove them, etc. I don't like exceeding virtual minute limits, of course, but I can't regulate the process when I don't have the ability to monitor the files. Tech support didn't always answer, many of my requests were just ignored (then they said that they had a site freeze). It's ended with a domain lock. I've been trying to contact them for four days. Short version: hosting WAS good. But now - I don't recommend it. For a beginning webmaster, the options aren't bad, but the prices and tech. support could be better. Sweb - hosting for home pages, but nothing more. The prices are pretty high, while the resources provided are a lot less when compared to the competitors. Tech support is somehow able to solve basic problems of virtual pages, but they don't seem like they are really sure. Attitude to clients with non-typical issues is bad, like we got your money, now we don't care. They act like the client's problems that they caused are just the client's problem, not theirs. With regard to the uptime - several times mysql has dropped, and administrators learn about it from clients. You have to form your own conclusions from what you see and in general about the quality of work. Sites work right now, but last time they were offline for 10-20 minutes per day. Hoster is doing too much with the ip blocking (if a lot of calls come from one ip - it's blocked), I uploaded the site and I was blocked. The robot of affiliate program was also blocked (they asked me to name the exact ip to unlock, and the affiliate program only gives me the ip zone). Now I am going to switch hosting, good thing that I only paid for the month. We have about 7 sites there on several plans. There are no disadvantages, a convenient control panel, and prompt technical support. The server isn't available very often. There are constantly problems with the email service. Problems are not fixed quickly. I am going to leave them. I don't recommend for a site with average traffic. Our site was located on this hosting for about a year and there were no problems. Tech. support by phone and by e-mail responded quickly. But over the past month, there were frequent site failures, the site took a long time to load, or doesn't load at all. All tech support messages are answered they fixed the problem, or that it was a problem with the developer because I don't have any scripts executed. Although before that, they were fine and I did nothing with the site. I have decided that I will switch. I'll try Sprinthost, it seems like the reviews about it are good, at least better than about Sweb.